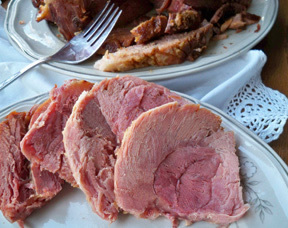 A traditional Christmas or Easter ham recipe with the addition of a great honey mustard glaze. 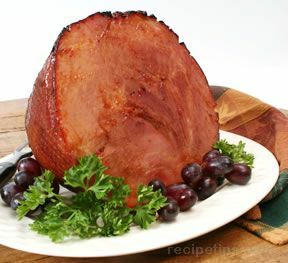 Using the proper ham cooking times and glazing the ham with this flavorful glaze recipe creates a festive ham for any special occasion. While ham is roasting, combine all ingredients in a small sauce pan. 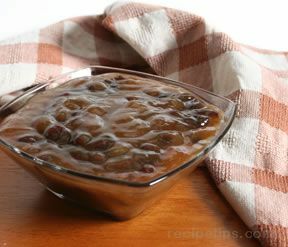 Cook over medium heat and bring to a full boil, stirring frequently. Reduce heat and cook one minute. Remove ham from oven prior to the last 30 minutes of baking. Cover ham with glaze. Glaze ham every 10 minutes during last 30 minutes of baking. Serve remaining glaze with ham. Tip: Baste ham with pan drippings while glazing. "If anyone is looking for a good ham recipe for Easter, try this one. We had guests for dinner last Sunday and I prepared this ham and glaze. It was excellent. Be sure to save some glaze to serve with it. We finished the glaze and wished we had more. 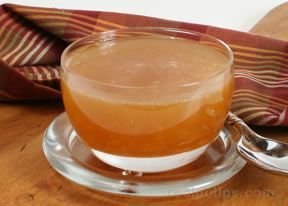 Consider increasing the glaze ingredients to 1 1/2 time the amount suggested in the recipe."